The cold and crisp days of late fall are upon us in Northern Colorado, and there is nothing better than a great book to read by the fire. 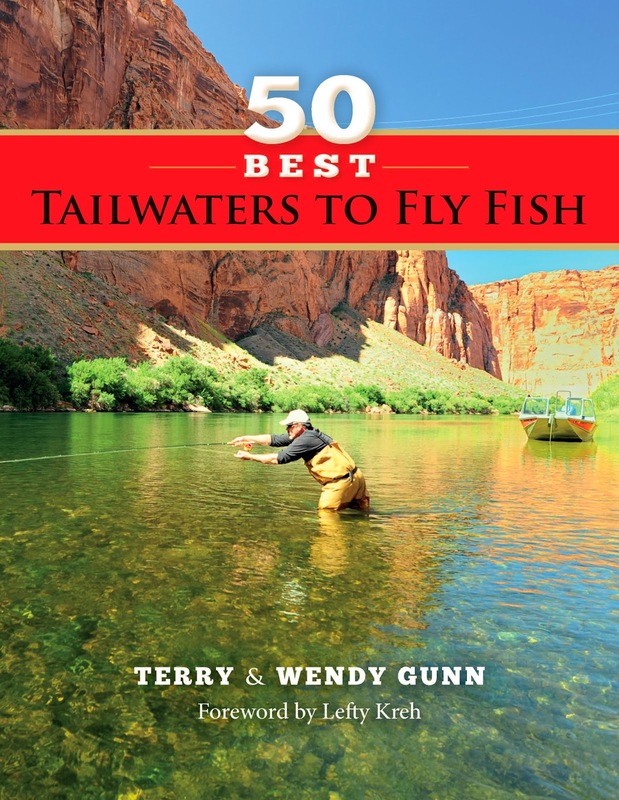 Stonefly Press just released a new book written by Terry and Wendy Gunn called 50 Best Tailwaters to Fly Fish. Some of the best days of fly fishing that I have ever had have taken place on storied tailwaters across the county. The Gunn's have written a book that focuses on many of these rivers. It looks like a great read, and I will give you a detailed review in the future. I can't wait to read about some of my favorite waters on a late fall day when the wind is howling and I just don't feel like heading out. Tom Rosenbauer, Marketing Director at the Orvis, and author of The Orvis Fly Fishing Guide, said, "Not many people realize that today most of the best trout fisheries in the lower 48 states are tailwaters, or influenced by dam release. They all have some common elements, but just knowing how to fish one doesn't guarantee success on another. Wendy and Terry Gunn have identified the best tailwaters in North America and distilled each fishery into a succinct and helpful guide with no fluff-just good solid info. The maps of each river are alone worth the price of admission. If you don't know much about tailwaters and you like to catch trout you must have this book. If you think you're an experienced tailwater angler you'll be sorry if you don't get a copy." I'm excited and can't wait to receive a copy. It will be interesting to compare reviews. I'm looking forward to your review Howard. Looks like a great book. Mike, Look forward to your review and then planning the trips to go fish some of the tail waters!